For close to a decade, I have been repeating the simple fact that without education and healthcare, there is just no way that India can ever hope or dream of catching up with China. It is a disgrace that public expenditure on health and education at less than 2% of GDP is less than the share taken away by myriad subsidies and exemptions. The only way out is a massive increase in allocations for schemes like Sarva Shiksha Abhiyaan and National Rural health Mission. But as I have often pointed out, merely allotting more money without improving governance and reducing corruption will not help. For a more detailed perusal of my proposals, do read my 2010 Alternative Budget that went with the headline “A Budget for Three Idiots” (http://www.thesundayindian.com/article.php?category_id=28&article_id=637). The recommendations I have made in that proposal are even more relevant today. As I had suggested last year, If I were in the place of Pranabda, I would increase the allocation for the rural Indian mainly farmers by a straightforward Rs.100,000 crore a year. The obvious question is why? Well, everything has to be in some context. And the context here is that rural India needs 150 million jobs to be created. As a committed government, our aim should be to do this in a span of 5 years and not 65 years. Thus, we have to create 30 million jobs a year. In rural India, a job can still be created by investing about Rs.33,750 per job. This would justify the necessity for an additional I,00,000 crore per year. Half of the money would be invested every year towards improving physical infrastructure in rural India including effective irrigation facilities, better and functional roads, a vast network of cold storages and regular supply of electricity. The other half would be every year invested towards improving social infrastructure in rural India including providing much better access to education, health and sanitation. The first would lead to a dramatic improvement in productivity in rural India and result into vastly superior income levels for farmers. The second would lead to a dramatic improvement in human development indicators in rural India. And both will create jobs, removing the massive rural unemployment from India. I would also suggest another Rs.120,000 crores be allocated for 25 million jobs to be created for the urban unemployed. In urban India, the cost of creating a job dramatically multiplies to about Rs.240,000 per head. Thus, to create 5 million jobs per year, we would require the amount I mention above. The urban poor also need another thing apart from employment. They need dignity of existence so that another Slumdog Millionaire is not made on India by Western imperialists. For that, we need to budget another additional Rs.24,000 crore per year for five years to create 15 million urban flats of minimum 250 sq. feet each. The question one might ask is where do we get all the money from? From my book, The Great Indian Dream which I co-authored with my father to each of the past 11 Alternative Budgets, I have highlighted various innovative ways to generate revenues. The irony is that over the years the governments have picked up all those ideas but unfortunately used the resources generated to make more black money. So all of you can turn back to my past budgets for more ideas as this time, I just give three simple ideas mainly using the crores of black money stashed abroad to go with our anti corruption theme of the budget!! I suggest that we legalize all the black money stashed abroad by giving a simple 10% tax payable in five equal installments of a mere 2% each! But with two key riders. First, that the government will take genuine steps to recover the money stashed abroad and all black money recovered after one year will be nationalized. And second, that there will be measures in place to ensure that future generations of black money becomes almost impossible. And of course, with a functional judiciary, no one will go unpunished. With estimates of overseas black money as high as Rs.75,00,000 crores, legalizing black money will lead us to a huge new revenue stream of a minimum of Rs.7,50,000 crore in five years or Rs.1,50,000 crore per year, making up for a huge portion of the money required to put my previous allocation proposals to action. Let me start with something like the biometric cards that I had suggested back in 2009. I am not a finance whiz but many of my colleagues and associates talk about how the Direct Tax Code (DTC) and the General Sales Tax (GST) regimes that were supposed to be launched this year will make life simpler for taxpayers. If only things were that simple. If I were Pranabda who was looking to help Rahul Gandhi inherit the mantle, I would do something dramatic. Let me put the word dramatic in context. When V. P. Singh presented the budget in 1985, as did Dr Manmohan Singh in 1991 and Chidambaram in 1997, Indians citizens couldn't believe that such changes were possible. So why can't Pranabda do something that will make the middle class taxpayer happy? Please introduce a simpler tax form to replace the ‘saral'; ‘saral' clearly is a torture for the honest taxpaying citizens who fume because it is they who pay the taxes. For all incomes up to Rs 5 lakh, Pranabda should make it clear that Income Tax guys will not question such returns at all. Anyway, what money can our Khao aur Khilao manadarins earn from middle class Indians whose tax is anyway deducted at source? It is because of a bewildering plethora of exemptions that just about 2% of Indians pay income tax while common sense and actual numbers dictate that at least 10% of Indians should be paying income tax. An important part of this elimination of exemptions would be to bring agricultural income under the tax net. Many years ago, when there were charges against former Bihar Chief Minister and Lalu Prasad Yadav's wife Rabri Devi on disproportionate assets and income, she had actually tongue firmly in cheek informed tax authorities that she earned a few crore rupees by selling milk and other dairy products! Almost every multi-millionaire in India owns a sprawling farmhouse and acquires the status of a farmer. This is just one example of how such exemptions have completely perverted the system. This sorry tale of exemptions is not confined just to direct taxes. There are numerous exemptions and complications even in the case of excise and customs duties. Interestingly, it is this bewilderingly complicated tax system that is responsible for almost 70% of disputes and cases pending in Indian courts. Just imagine the impact on the effectiveness of Indian judiciary if the need for such needless litigation was eliminated at the source! This one simple move by Pranabda can act as a revolutionary trigger that will go a long way in reducing corruption, making voters happy, helping Rahul Gandhi win in 2014 and much more. My colleagues have been doing back of the envelope calculations and they estimate that this simple proposal will result in extra tax revenues of at least Rs 3 lakh crore a year. The annual budget for all social welfare schemes is less than Rs 1 lakh crore. Needless subsidies and the distortions and havoc they are creating in the Indian economy are yet another classic example of the road to hell being often paved with noble intentions. A majority of farmers in India are so poor that they can barely afford to buy the food they produce, forget hi tech seeds and fertilisers. And yet, the fertilizer subsidy bill is crossing Rs 1 lakh crore a year. Have you ever seen a poor man own and drive a diesel car or own and operate a diesel generator or a pump set? And yet, subsidizing diesel is costing upwards of Rs 50,000 crores a year. 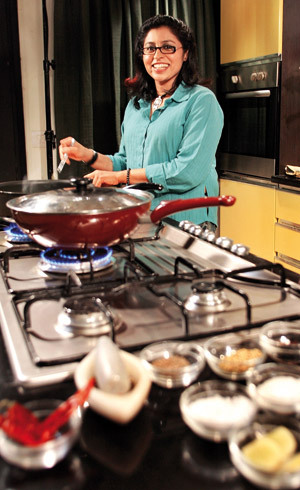 How many Below the Poverty Line citizens have you seen using LPG cylinders to cook food? And yet, subsidies on LPG cylinders cost upwards of Rs 20,000 crore a year. There are dozens of similar examples. These subsidies not only distort the economy, they also lead to massive corruption. Kerosene subsidy is just a case in point. It has created malignant mafia empires across India that siphon off the subsidized kerosene meant for the poor and happily adulterate petrol and diesel with it. This mafia has no compunction in killing people who cross their paths. If I were Pranabda, I would take the ‘bold' step of abolishing all such subsidies and using the biometric photo identity cards to directly subsidise goods and services meant for the truly poor. As I mentioned earlier, history has an uncanny ability of repeating itself in India. In 1982, Rajiv Gandhi was anointed the inheritor. 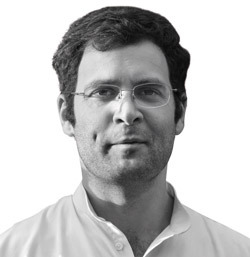 Thirty years down the road, his son, Rahul Gandhi is the inheritor. 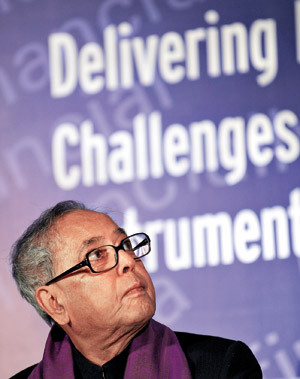 In 1982, Dr Pranab Mukjerjee presented the Union Budget. 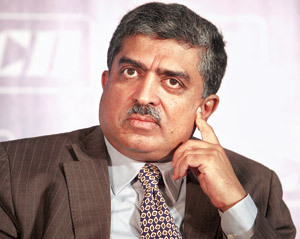 In 2012, he is again presenting the Union Budget. Back then, the ‘system' ensured that Rajiv Gandhi largely failed in his efforts to mobilize India's youth and energy to transform India. A few years from now, will we be compelled to say the same things about Rahul Gandhi? 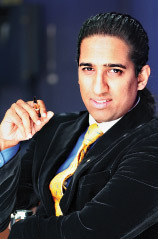 Shri Arandam Chaudhari, Director IIPM Think Tank. Sir, This refers to your article regarding Alternative Budget published In Sunday Indian. I fully agree with your suggestions with respect your suggestion on resource mobilisation as well as funds allocation. Legalising black money may be a practical suggestion, so that we can get at least 10% of the estimated black money of 7.5 million crores. But should we not think of the sources of so much money? 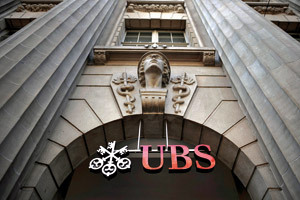 If they have amassed so much wealth through unfair means, should they not be punished? Otherwise, would it not send a wrong message and encourage them to continue doing so? Creation of Employment Opportunities: I am very happy to note that you have suggested 0.22 million crores for employment generation. That indeed is a very bold suggestion. I feel that employment generation is the most important area. The root cause of many of our social problems can be traced to unemployment. So, if we can solve the unemployment problem, over a period of time, that will certainly lead to elimination of other social problems as well. Some suggestions for solving Unemployment: Reduce working hours to four from the existing eight. The simple logic for this suggestion is that all people will take food (proof their very existence). But some do not work but take food. So let us share the work and share the cake as well. This will generate additional 25% jobs. Increase service hours of all public services to sixteen. This will generate another 25 % additional jobs. When people have to work only for four hours a day, they will have plenty of time for entertainment. This will create a lot of jobs in entertainment and tourism sector. We can have one live entertainment programme in every village every day. Ensure compulsory and free elementary education to all children. Admission to higher education should be based on merit. A common admission test may be designed. Minimum qualifying marks to be determined. Necessary provision may be made for SC/ST/OBC candidates. Only eligible students will be given admission to higher education. All eligible students must be given admission to the disciplines/areas of their choice. Those who are not able to make to the higher education, should be trained in various vocational trades. Ensure job and reasonable salary to all who successfully complete their education/training. Set up Vocational Training Institutes in every village/block, to impart training in the trades required in the society. Set up Employees’ Co-operatives in every village to ensure job to all eligible people. Set up Farmers’ Co-operatives to ensure effective utilisation of land and other resources. This will also ensure food security to all. This will also help ensure organic farming and good quality products. Farmers can pool their resources, and get proportionate shares/profits. Initially, ensure job to at least one member in a family. UID Number may be of use for implementing this. Job to the second member in a family is to be given only after providing jobs to one member in all families. Introduce Minimum Insurance cover for life, medical, accident and social security to all members. Or, the government can provide financial assistance to the needy as and when required. This will also eliminate the need for maintaining various records in connection with the insurance cover etc. And related administration. These are some points that came to my mind when I read your article in the Sunday Indian.